The authorities are getting concerned about the rising level of air pollution. Especially nowadays when Delhi is covered in a blanket of smog. The petroleum ministry has announced that BS-VI Gasoline and Diesel will be introduced in Delhi from 1st April 2018. Previously, this was supposed to happen in April 2020. The ministry plans to expand the availability of BS-VI fuel till NCR (National Capital Region) 1st April 2019 onwards. The Automobile Industry has welcomed this move. Other efforts by the government- NTPC Electric Vehicle Charging Stations Operational in Delhi and Noida. Welcoming the initiative, Dr Abhay Firodia, President, SIAM said that the early introduction of BS VI fuel gives confidence to the Auto Industry that BS VI Fuel will be available across the country from 1st April 2020, when the Auto Industry will fully migrate to manufacturing only BS VI compliant vehicles on a pan India basis. The highlighting fact about the BS-VI fuel is the lower sulphur content in them. Sulphur is released from the vehicle exhaust in the form of Sulphur dioxide. 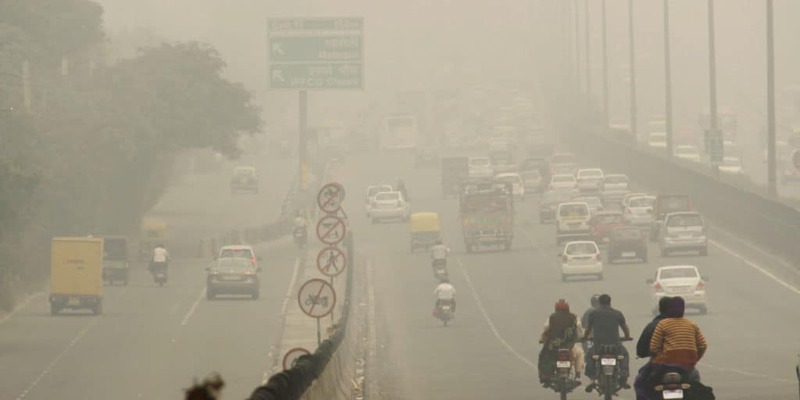 This results in smog formation and phenomenon like acid-rain.